Today, social media monitoring and support tools are included in many off-the-shelf customer service platforms. Here, we’ll look at some of those tools and explore what role social customer service should play in a company’s overall support strategy. What do companies actually mean when they say they want to integrate social media into their customer support? 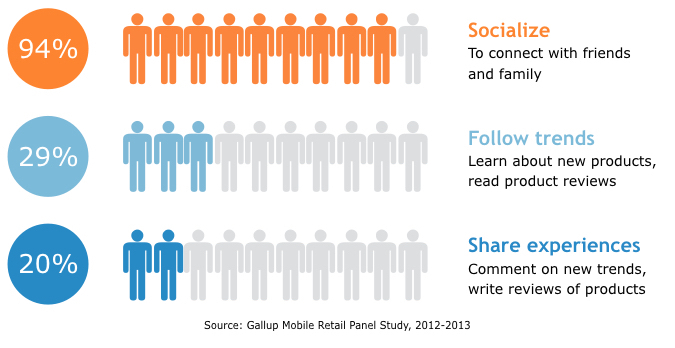 Typically, it means they want social media to become an additional channel in their omnichannel strategy. Many customer service platforms come with integrated social media tools for just this purpose. 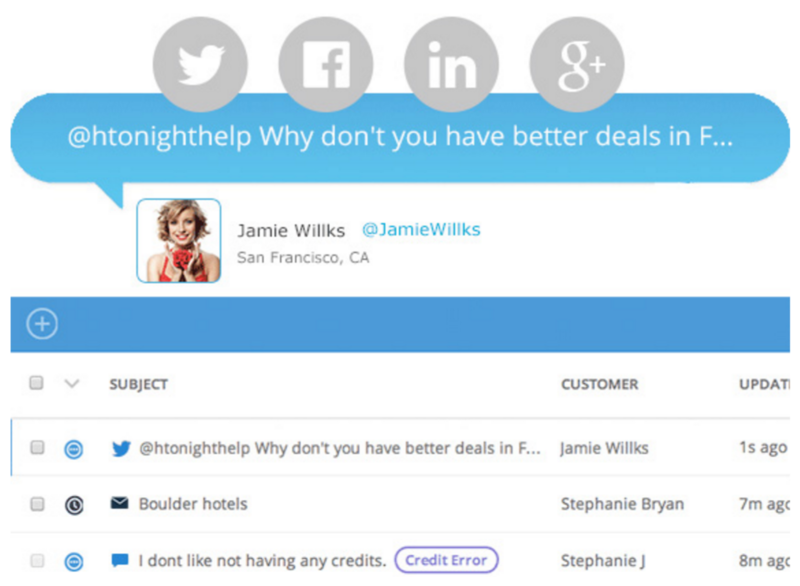 In the example below, Desk.com uses three icons to show how three different customers made contact: by Tweet, email and live chat. Because they’re all presented to the agent together, every request receives equal treatment—regardless of the channel chosen by the customer. Many of the social media tools included in customer service platforms serve a similar function: They bridge the gap between social media and traditional communication channels. These tools allow all customer communications to be managed from a centralized platform—using either the same sets of processes, or ones tailored to individual channels. Tailoring processes to specific channels can be very important on social media, where customers have different expectations. For example, they might be willing to wait a day or two for a response to an emailed question, but on social media, they’d expect an answer much sooner. For this reason, it’s helpful to choose a system that centralizes ticket management across channels, but still allows specific rules to be set on a per-channel basis. 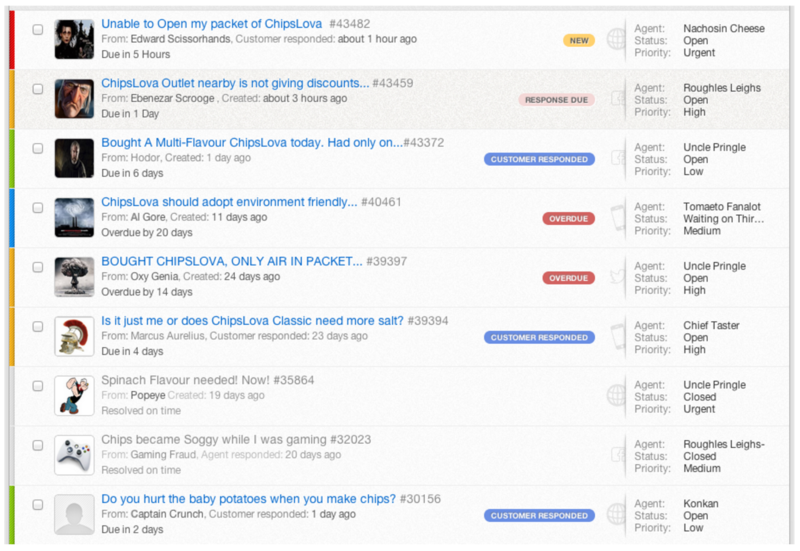 In the above example, the Freshdesk platform displays a variety of open tickets. Some are flagged as “overdue” and “response due.” The rules that manage these flags can be set individually—giving the company the flexibility to choose which incoming requests receive what level of priority, based on SLAs or other factors. And there are other benefits to using integrated social media tools. The social media activity surrounding a company or its products is often relevant to departments beyond customer service. When information about this activity is managed with a software platform that’s used across department lines, this helps the whole company. An IT department might need to monitor which channels receive the most volume and when. This could be relevant as they make purchase plans, or consider changes to the company’s IT architecture. A research and development department might want to track the volume of tweets related to a new product launch or rollout of product updates. Sudden spikes in volume often indicate a problem—and the earlier the R&D team learns about it, the better. A human resources department might find it helpful to know which agents are most active, or most effective, on which channels. This information could inform hiring, training and promotion decisions. Of course, some companies don’t want to buy new customer service software whenever they need to add new functionality. Often, the better option is to find a stand-alone tool to integrate with their existing platform. These stand-alone products also tend to offer more cutting-edge functionality. Let’s see what some of them can do. 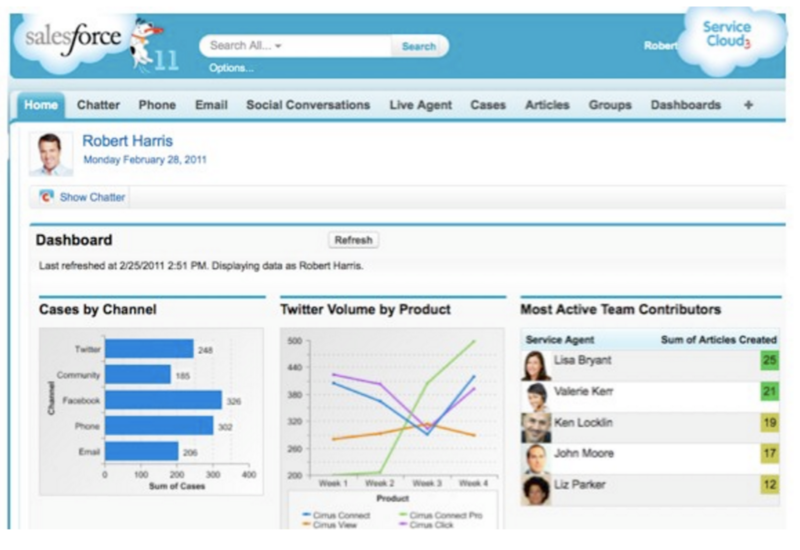 Social service tools, such as Conversocial (above), help companies track and monitor social media signals. They use automatic tracking to ensure that no important mentions go unnoticed. Some can even find online mentions that aren’t directly addressed to the company. Others, including Sprinklr (discussed below), use natural language processing (NLP) to gauge the sentiment of posts. This lets companies know if, for example, a sudden increase in the volume of mentions is from customers praising the company, or criticizing it. Stand-alone tools also have the advantage of being quick to deploy. They can often be added onto existing customer service platforms without causing any service interruptions. What’s more, these tools are sometimes preferred by other business units, such as marketing and public relations. The information they collect can be shared with stakeholders in any department, without requiring them to dive into the customer service system. Sprinklr is an example of a stand-alone social media management platform that can make social engagement relevant to all business units—not just marketing and customer service. The platform monitors social channels for mentions, analyzes the sentiments they express and determines (based on how it’s configured) the best course of action. A single complimentary tweet from a customer might get assigned to a marketing department employee, who then responds with a quick expression of thanks. A customer’s post on Facebook doesn’t ask a direct question, but because it expresses frustration with a product, an automatic reply is sent from the service department with an offer to help. An increased volume of mentions of a competitor’s brand triggers the system to notify the sales department, whose reps (now aware of the competitor’s price drop) choose to follow suit. Integrating social customer service into your support strategy requires more than just learning about available products. On occasion, customer service leaders need to convince company executives that social media activity is relevant to their business. Even today, there are many who feel that social media’s audience is confined to the youngest age brackets. However, this is far from the case. If you face reluctance from executives on a new social customer service initiative, statistics such as these can be persuasive. At the very least, they show that social media is important to consumers of all ages. Tools such as those included with Desk.com and Freshdesk (both discussed above) can fully integrate social media into an omnichannel strategy. So what happens after integration—do the floodgates open and overwhelm staff with an influx of new support requests? Typically not. Our discussions with businesses and customer service leaders confirm what we learned in our recent survey: U.S. consumers are not initiating a high volume of service requests through social media. However, while the quantity of requests from social media doesn’t compare to those from more traditional channels (e.g., email or phone), the quality is what counts. By “quality,” we mean the fact that questions and complaints on social media are very visible—often to very large audiences. The company’s responses, or lack thereof, create high-exposure examples of the types of customer experiences it provides. From a brand management and PR perspective, this makes social media customer service questions some of the most important. Without monitoring and response tools like those discussed in this article, it becomes too easy to miss the one post that could develop into a PR nightmare. The popularity of social media alone is a compelling reason to add social service to an omnichannel support strategy. But it’s also important to remember the purpose of this channel, as defined by those who use it: Social media is first and foremost an outlet for connecting with friends and family. Companies that fail to understand the primary purpose of social media often fail with their social media initiatives. Instead of engaging consumers with their activities—their posts and tweets, “likes” and responses—they drive them away with commercial or overly scripted interactions. For companies to succeed, they need to learn to socialize. 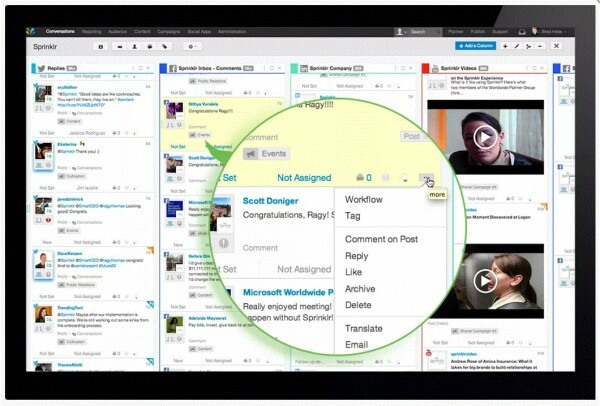 Software helps companies become more social by filtering and categorizing posts and questions on social media. 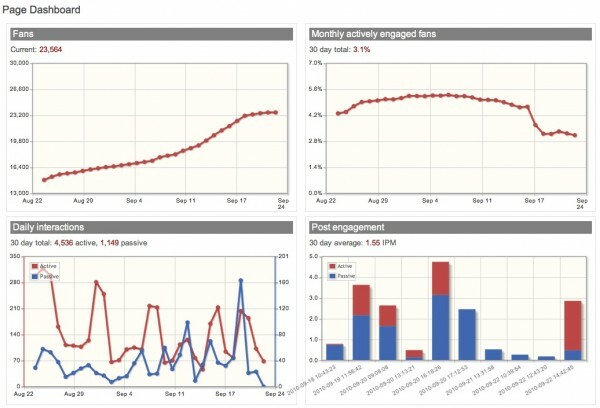 Tools such as Sprinklr can gauge the sentiment and urgency of posts and questions and determine how the company should prioritize responses. They help companies know when quick, scripted responses will suffice, and when more carefully considered, “social” responses are in order. 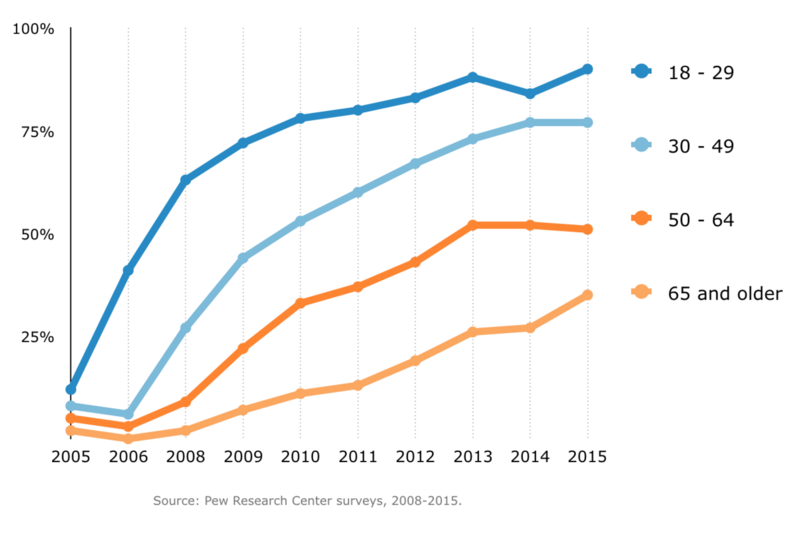 Many companies think social media’s primary business value is in branding and messaging. So they often put marketing departments in charge of social channels, at least initially. But in many cases, responsibility for social media is shared between marketing and service departments. The way this responsibility is shared—along with the software being used—impacts what value both the company and its customers get from social media participation. 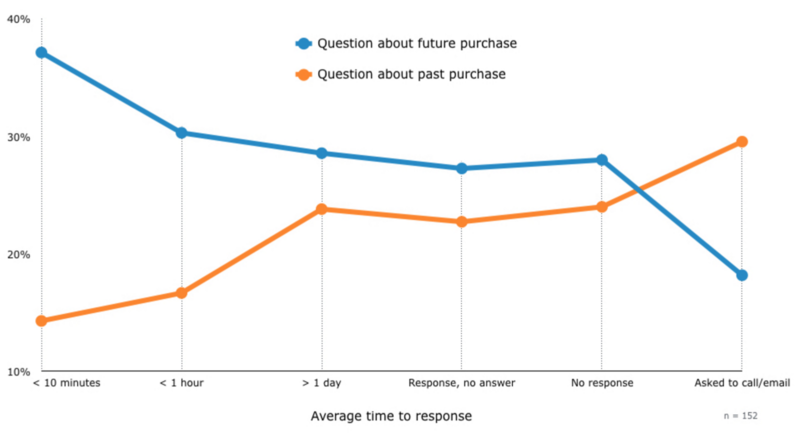 Interestingly, our survey results show consumers have a better chance of quickly receiving an answer if their question is about a future purchase than if it’s about a past purchase. Questions about future purchases—typically fielded by marketing departments—are answered more often and more quickly than questions about past purchases, which are the purview of customer service. Whether or not a question on social media gets answered, and how quickly it gets answered, shouldn’t depend on whether the person asking is a current or a potential customer. The best customer experience comes when all questions and complaints receive equal priority. Companies using centralized social media service platforms can design a response strategy that’s consistent across all departments. In the arena of social media, success begins and ends with engagement. If a company isn’t fully engaged on social media, but its customers are, any complaints or questions they post might get overlooked. These complaints will never make it to the company’s service department, never get entered into the ticketing system—and never get resolved. Social media customer service tools bring social media into the fold of an omnichannel service strategy. Not only do they ensure social media posts get the attention they deserve, they also make sure they get handled with the urgency, tone and style appropriate to the channel. To learn about another type of software tool that can improve your support strategy, check out The Self-Service Software Products That Keep Customers and Employees Happy. 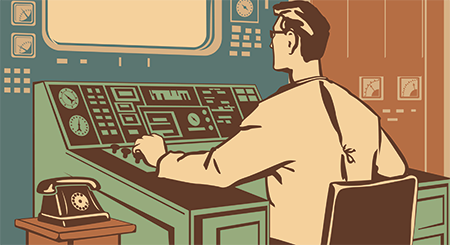 Your IT Organizational Structure: Should You Centralize or Decentralize?